Thirty something years of pure clumsiness–which has resulted in hundreds of stained garments, an unfathomable amount of broken dishes and glasses, and even a giant gash in the bottom of my foot one year at summer camp and a trip the ER for stitches–leads me to believe that being accident-prone is just as natural to me as my hair color and fair skin. Being clumsy and a regular participant in accidents is just, well, me! When Piper was born six years ago, I held my breath at the thought of my clumsy nature being passed on to him. I’m happy to report that Piper has learned to crawl, walk, run, ride a bike, and help with the dishes with only a few accidents in his little lifetime. Be thankful, Piper, you didn’t inherit your mama’s clumsy genes. Londyn definitely inherited my clumsiness. In fact, in the last four years of her life, she’s already broken a tooth from running around with Piper and falling on our tile floor. She’s also become close acquaintances with way too many walls and tables. I was kind of joking about “clumsiness being an inherited gene” a few years ago, but after doing life with Londyn the last four years, I wonder if we are predisposed to being clumsy. Maybe it’s more of a fine motor skill that some of us never fully develop, or maybe some of us are just prone to being a bit more unstable with our hands and feet? Is this getting a bit too deep? Maybe even a bit philosophical? 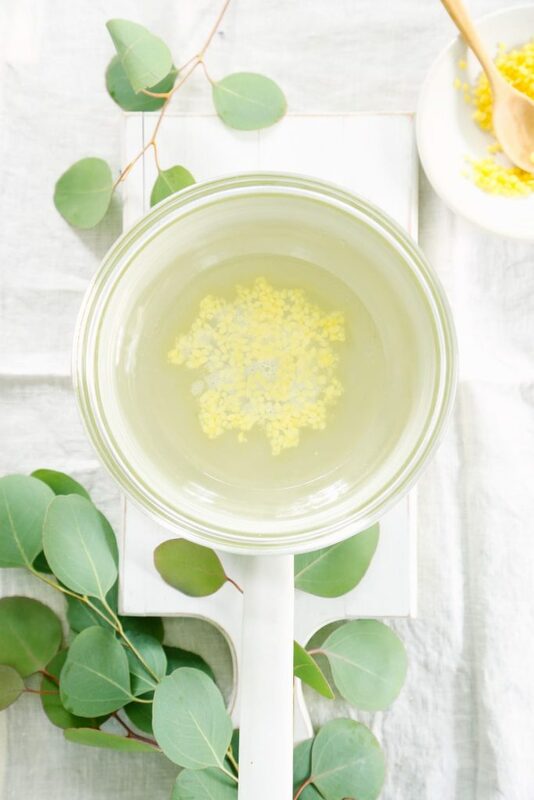 Let’s talk about TLC, because we clumsy folks definitely need all the tender loving care we can get! 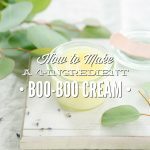 A couple of years ago, I shared my go-to boo boo cream/salve. That salve is what I turn to when an accident happens and one of us (raises hand) needs some extra tender loving care, alongside lots of hugs and kisses. I absolutely love that salve, which is why a jar can always be found in my medicine cabinet. Virgin Coconut Oil: Coconut oil may help repair the skin and fight infections and inflammation (thanks to the lauric acid). In one study, minor wounds that were treated with coconut oil healed faster than patients not treated with virgin coconut oil. You don’t need a special kind of coconut oil to make this cream/salve. 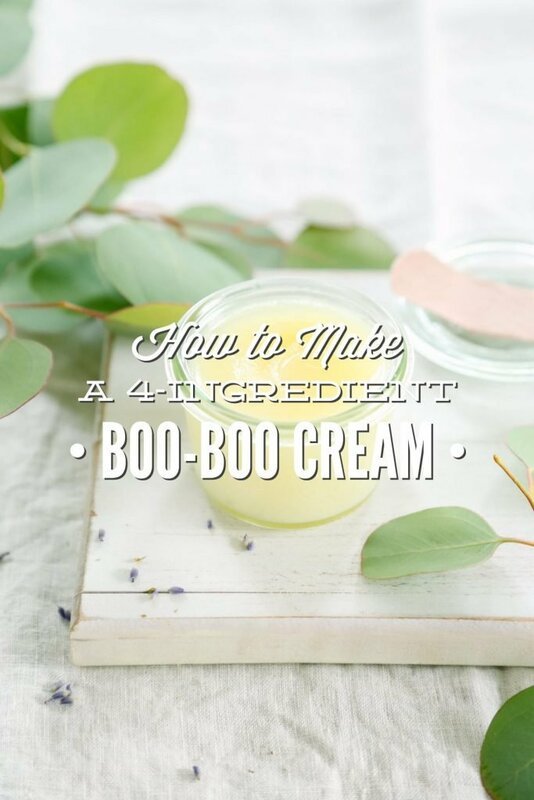 Just pull out the virgin coconut oil from your pantry, and you’re ready to create a boo-boo cream/salve. Beeswax: Beeswax is added to this recipe to take a (sometimes) liquid oil to a firm state, but it also adds a few benefits beyond the consistency factor. Beeswax, a natural ingredient thanks to hard-working bees, provides a protective barrier to the skin, and may also help to soothe the skin. 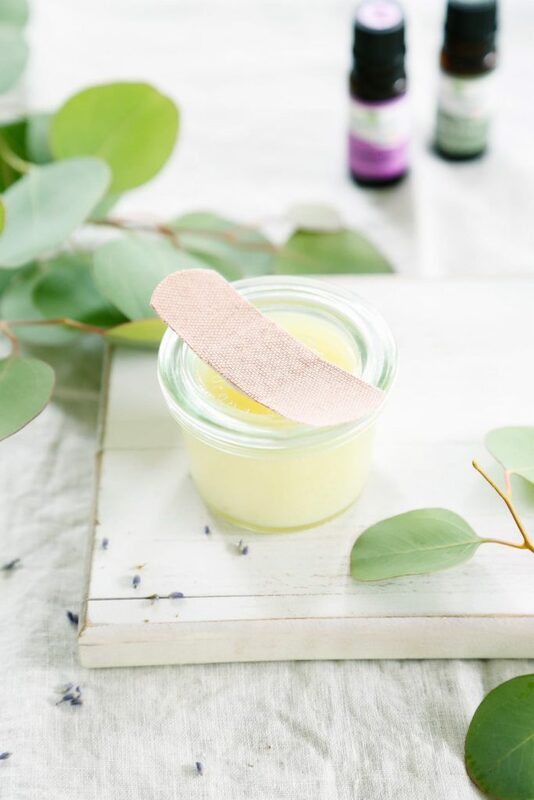 Essential Oils: Two essential oils are added to this cream/salve, lavender and tea tree essential oil, for their soothing and antibacterial properties. 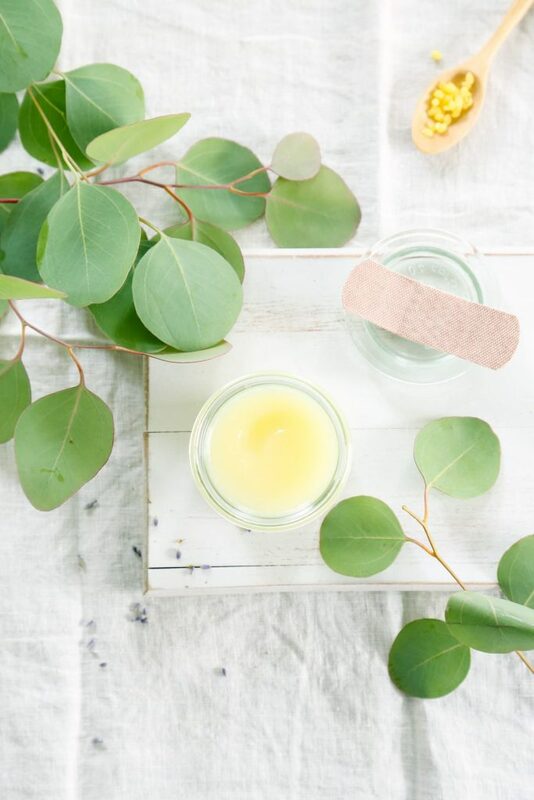 Rest assured moms and fellow clumsy friends, this little jar has your knees, arms, or whatever else may need a little extra TLC, covered in the simplest way possible. Just in case ;)…. 25 drops lavender essential oil based on 2% dilution--see note under "Ingredient Notes"
25 drops tea tree essential oil based on 2% dilution--see note under "Ingredient Notes"
In a glass bowl, combine coconut oil and beeswax. Turn off the heat and carefully remove the bowl to a heat-safe surface. 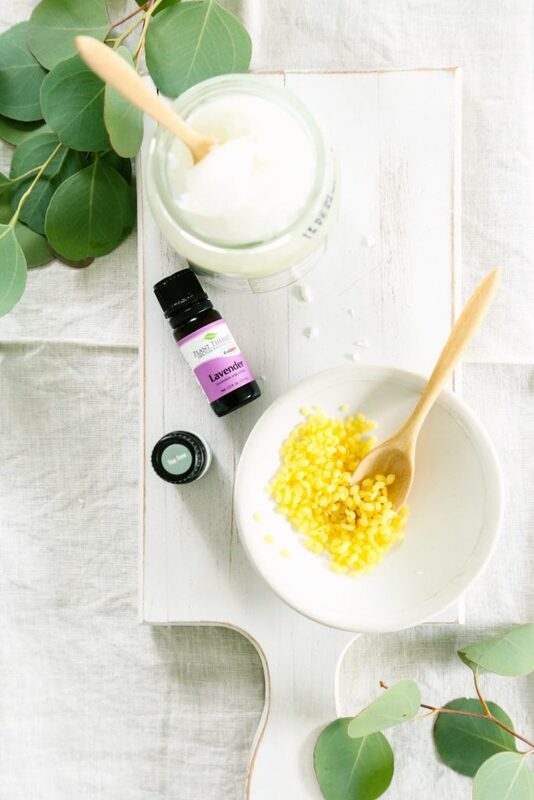 Allow the oil and beeswax mixture to cool for a few minutes before stirring in the essential oils. 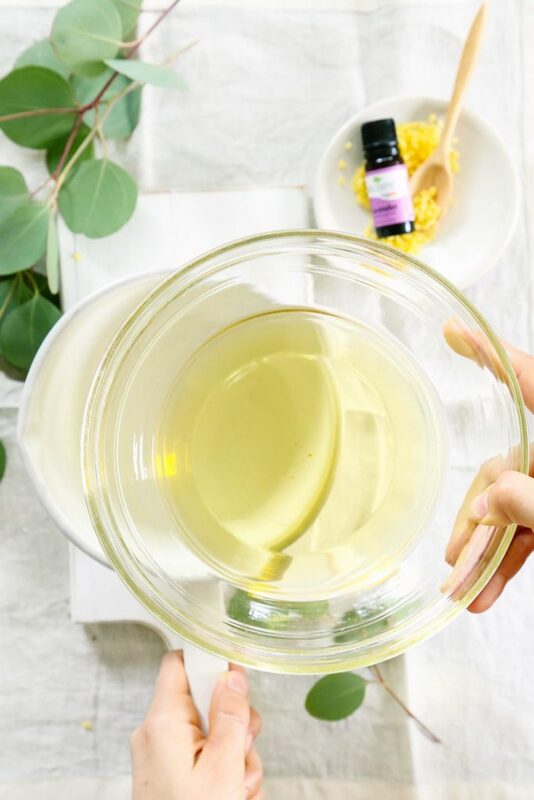 After adding the oils, immediately pour the mixture into a glass container and cap it to prevent the essential oils from evaporating. Store the cream away from light and extreme heat. This cream should last for at least six months. 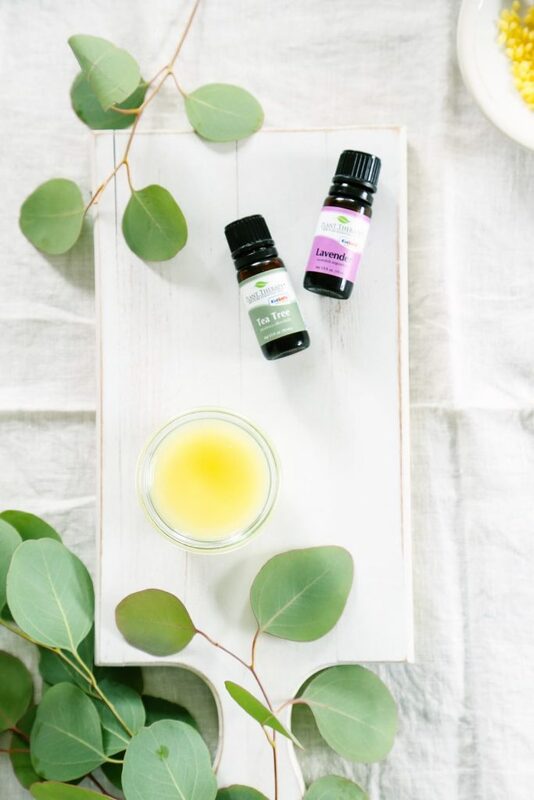 If you’re concerned about using a 2% dilution on young kids, reduce the amount of essential oil in half to a 1% dilution, or even a .5% dilution. Since making this cream/salve, I’ve used this on burns and minor scrapes. As always, please consult a medical professional about serious injuries. And always do your own research before using any products or ingredients. I used Plant Therapy’s Lavender and Tea Tree Essential Oils to make the cream/salve, which are available through their website and Amazon. For essential oils, I personally use Aura Cacia and/or Plant Therapy. I have purchased your Real Food and All Natural Cleaning ebooks and I absolutely love them! I’ve suggested them to all my friends and family and would loveee to see an ebook of all your natural remedies! The ebooks I purchased have definitely changed me and my family to a more natural healthy lifestyle thank you so much! That’s so great, Danielle! I’m so glad the books have been so helpful!! This comment is meant over all the cleaners you do in general, not just this one item. for this and your cleaners, are essential oil necessary?? I have an issue with sents, they give me bad headaches. Will cleaners and other items still work without it?? Hey Annastasia, In this recipe, and other natural remedies (like vapor rub), they are needed. For most of the cleaning recipes, they may be skipped. They are added for the cleaning properties, but the other ingredients will get the job done as well. I’m also very sensitive to (artificial) scents and get bad headaches, but I’ve found essential oils to not produce the same reaction for me. It may be worth trying something like lavender, maybe reducing the amounts called for, to see if the scent will produce the same reaction. Who knew??? I briefly looked over the items for “Back to School” even though I have no one going back to school but when I saw the Boo Boo Cream I thought I might do that, for what?? Well just days later I had a fall from my bike (I’m 65), got a gash on my forehead, scraps on my elbow and knee and a bit lip that became a canker sore. . . so I made the cream up ~ quick and easy. As the canker sore really became an issue I decided to try some of the Boo Boo Cream on it and by morning it was history. I’ve been applying it to the other areas and when the bandages come off the gash it will go on that also. Thank you for sharing. That’s so great, GV! Thank you for sharing! This is perfect. I have been putting off making the original recipe because I couldn’t source one of the herbs but these 4 ingredients I have! Thank you! Awesome, Brandi! I’m so glad the simplified recipe was/is helpful :). Hey Tammy, I haven’t tested 100% olive oil, but I believe so. 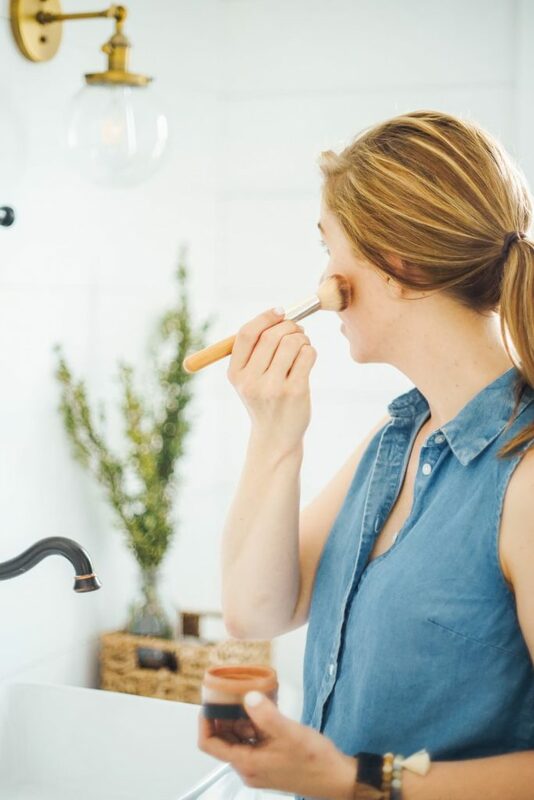 I make makeup remover balm: https://livesimply.me/2016/03/25/2-ingredient-makeup-remover-balm/. You may need to increase the beeswax if you’re using olive oil. I love this recipe. I have used Lavender and Tea tree essential oils for many years great for insect bites and nettle stings, they are always in my 1st aid kit , but your boo-boo cream makes it so easy to take on holiday. Thank you! I love that you’re taking this on holiday–great idea! Would 1% be 10 drops of EO with 1 oz of carriel oil? Hey Diana, Yes. You’d want to cut the current amounts in half. Does it need to be stored in glass or can it also be stored in an aluminum tin? Hey Wendy, Either one should work. Hi Kristin, wouldn’t 2% Lavender and 2% Tea tree be a 4% dilution?